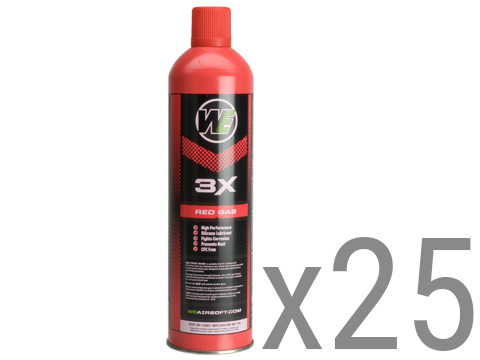 Pressurized gas cannot be shipped via 3-day, 2nd day, or next-day air services. 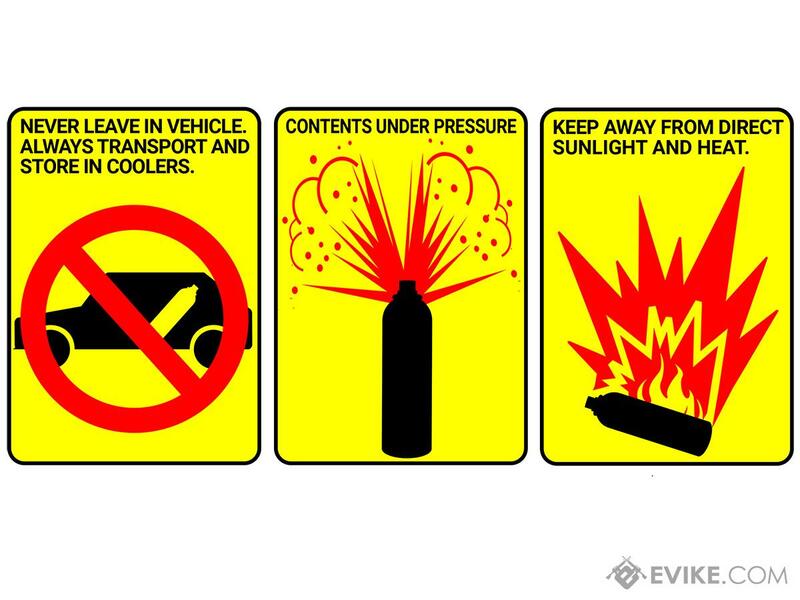 Do not leave pressured gas cans under high heat, or in the vehicle unattended. 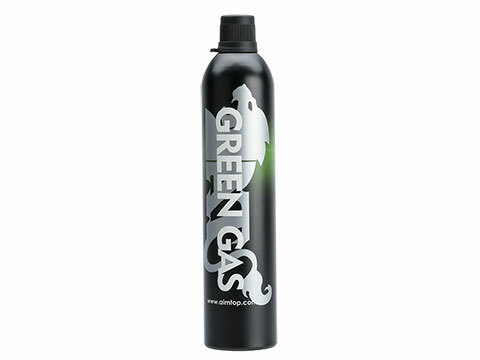 Due to the nature of this item and the complexity requirement on shipping, green gas cannot be returned. 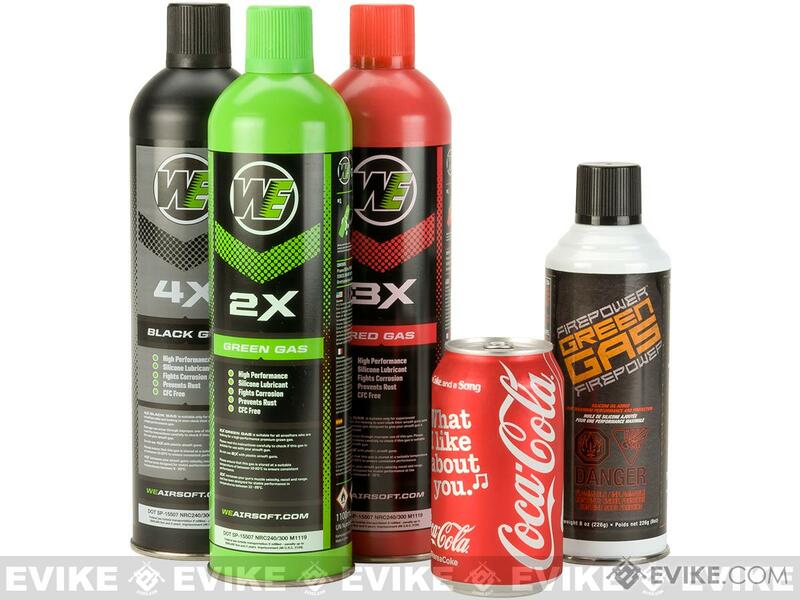 Please make sure your Airsoft gun is compatible with green gas before purchasing. 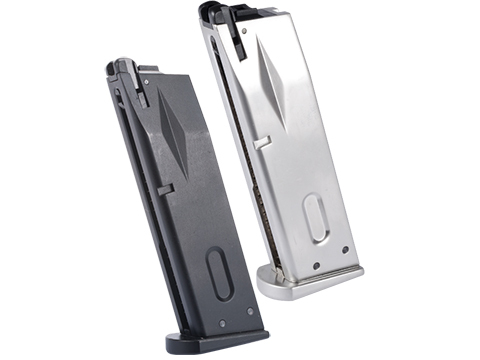 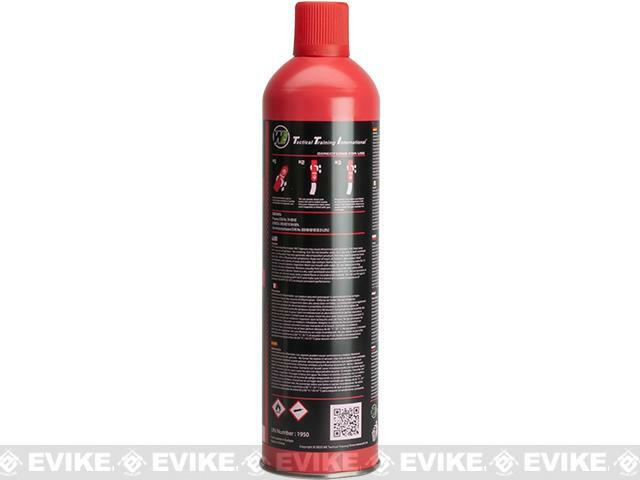 Evike.com is committed to bringing you highest quality green gas in a timely, legal, and (most importantly) safe way. 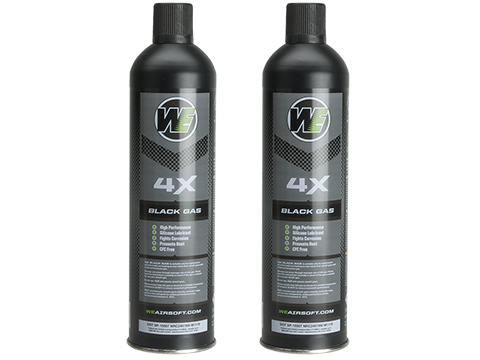 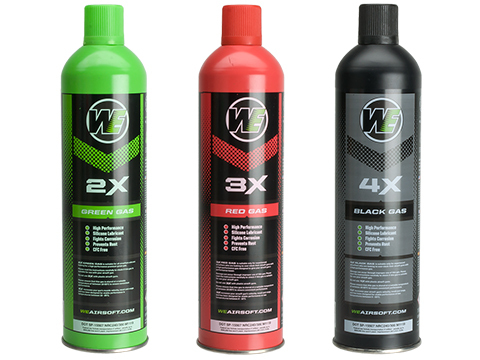 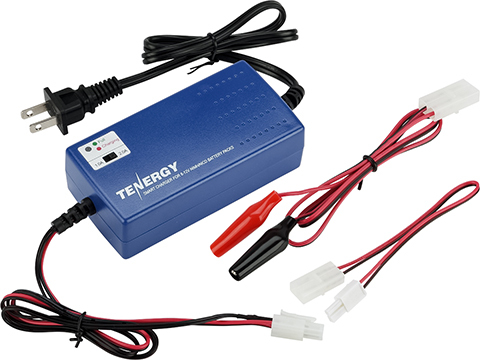 WE-Tech 3X is a revolutionary gas specifically designed for use in cold weather. 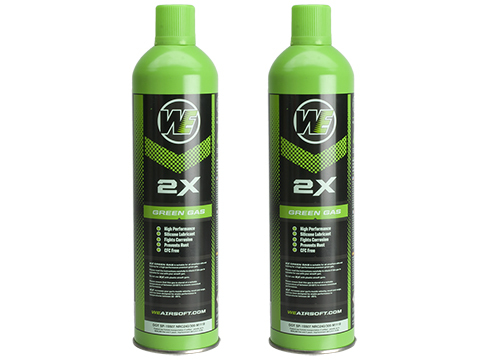 WE-Tech 3X uses new gas filling technology and additives to achieve similar performance to WE-Tech 2X at 25C but at 15C and below. 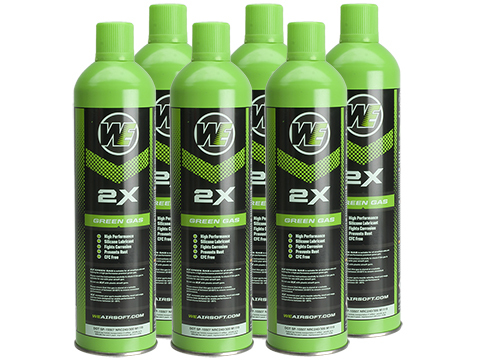 A lot of research and work has gone into formulating WE-Tech 3X and we are seeing great results. 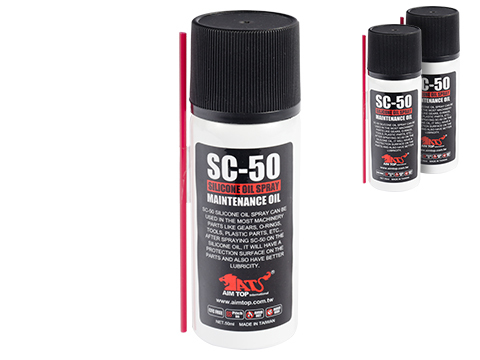 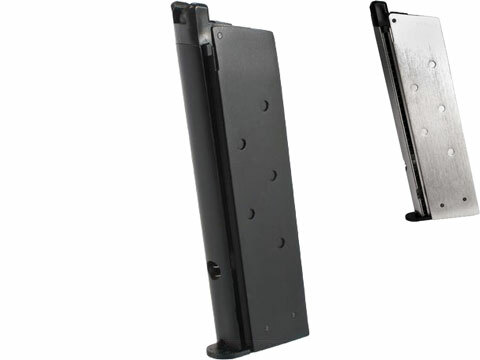 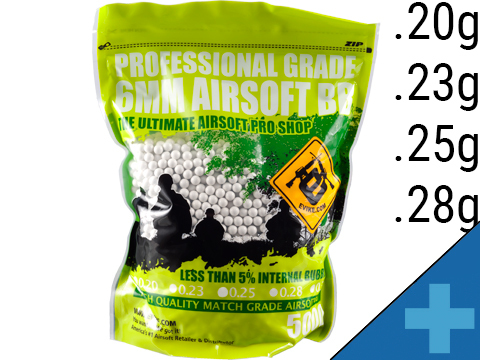 Its a must-have product for all-year gas blowback (GBB) Airsoft players. 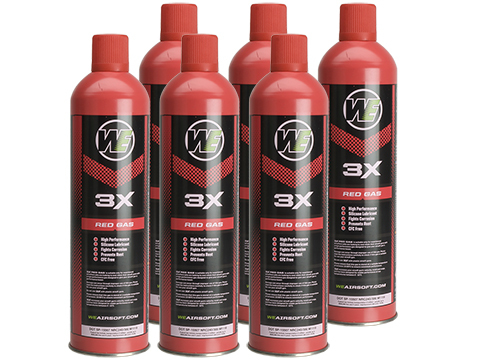 Please be aware that WE-Tech 3X red gas is a high powered and high pressured gas which may not be suitable for most Airsoft guns under normal operating temperatures of Green Gas. 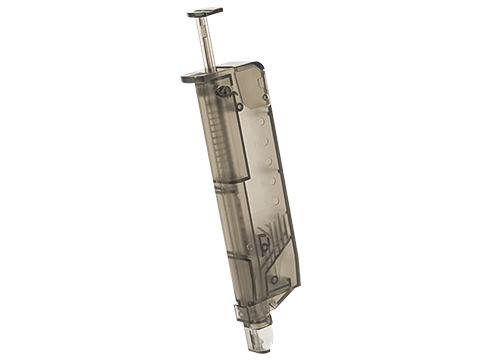 Buyer assumes full responsibility when using high pressure gas. 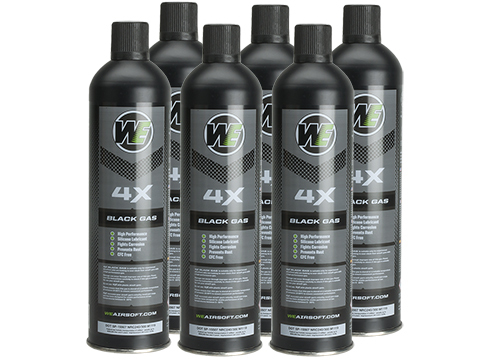 "Will you guy be getting nuprol 1.0? 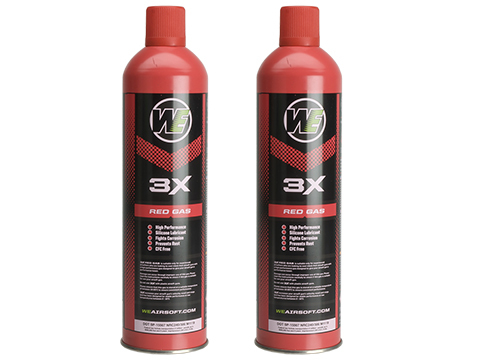 "I really the red gas it has worked very well for me.But I ordered the green gas and the nozzle was bent and when i went to fill a mag the gas came out of the side of the nozzle. 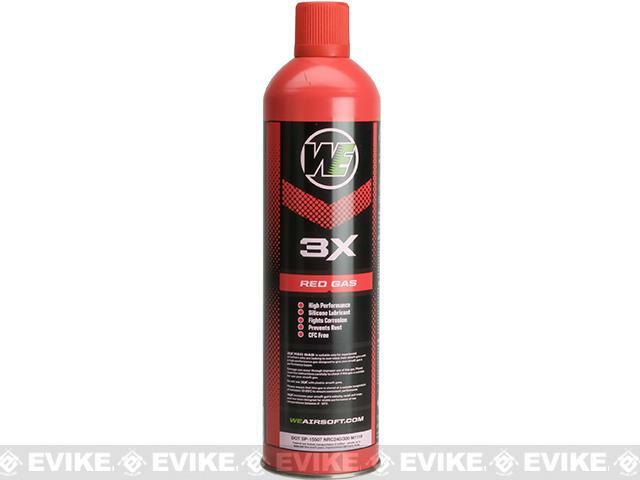 Discuss about Airsoft Premium 3X High Performance Gas 10.5oz by WE (Qty: 1 Can / Red) with your friends and fellow Evike.com shoppers!